I don’t normally use this venue to cross-promote the podcast I co-host, since this blog is a personal diary about my layout. But on Episode 45 of The Model Railway Show, I speak with Doug Gurin, the founder of the Layout Design Special Interest Group. Unless you’re a serious student of layout design you may not have heard of Doug, but he’s influenced most of the layout designers you have heard of. Doug’s thinking about layout design goes way beyond what most people do, which is “track planning”. He’s conversant on many topics – from ergonomics to lighting to fascia colours. But it’s Doug’s thoughts about using a layout to tell a story – of a real railroad, in a real place, in a real time – that I find most compelling. As an example, how would I represent my home layout – the CNR’s Port Rowan branch in S scale – at the dawn of the 20th century? The equipment would change, the track might have some minor adjustments, and there might be some changes to the details on the structures. And that’s where most modellers would call it a day. Doug, however, would want to know how we could demonstrate the culture of the railroad and the spirit of the community. There might be scenes of prosperity – a well-kept flower garden at the station, railway bridge and building employees giving sheds a fresh coat of paint, section gangs standing by for the train to pass so they can resume trimming the ballast on the right of way. Things like that. By contrast, in my 1950s version of the branch’s story, I paid a lot of attention to distressing my ties and adding static grass between the rails to reflect its status as a marginal line on which only the minimum amount of maintenance is being performed. There will be no railroad employees painting sheds or tending station gardens on my layout, because that would confuse the story I’m trying to tell those who see the layout. Instead, they might be putting a crude patch on the water tank to stop (or slow) a leak – something essential to keeping the line running, but nothing more. It was also from Doug that I first heard the concept of “modelling jobs” – something that’s big on my list of ways to make my modest layout entertaining for me and my guests. While Doug did not give me the idea of using fascia-mounted brake wheels and air hoses as operations aids on my home layout, or tell me when and where to use them, it was conversations with Doug over the years that fostered my interest in finding ways to help model the jobs of railroading in miniature. And that’s what made me consider fascia tools in the first place, and then research how brakes are used during switching so I could emulate that. In our interview, Doug and I talk about many things related to layout design – from the origins of the LDSIG, to considerations for the layout designer that go beyond track planning, to areas in which Doug feels we could do more. I hope you give it a listen, because I always come away from a conversation with Doug having learned something that has changed my approach to the hobby – and I’m sure you will too. I like to look beyond my own chosen little corner of the world and offer up suggestions for relatively simple layout themes that I think would offer the hobbyist a project that’s both attainable and satisfying. A while ago, I gave the example of the CNR’s Waterloo Sub to Galt, Ontario. David Woodhead visited my layout yesterday and reminded me of another – this one from the west end of the country, and the other national railway. David is a professional musician and he just got back from a tour that included parts of the British Columbia Interior. 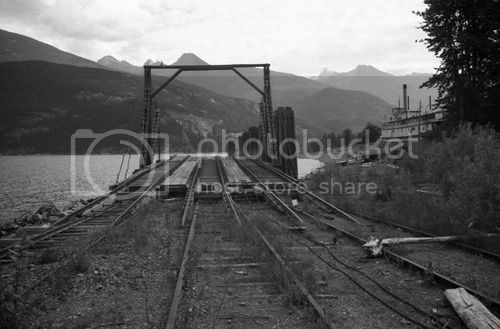 That location was home to a unique railway operation in Canada. 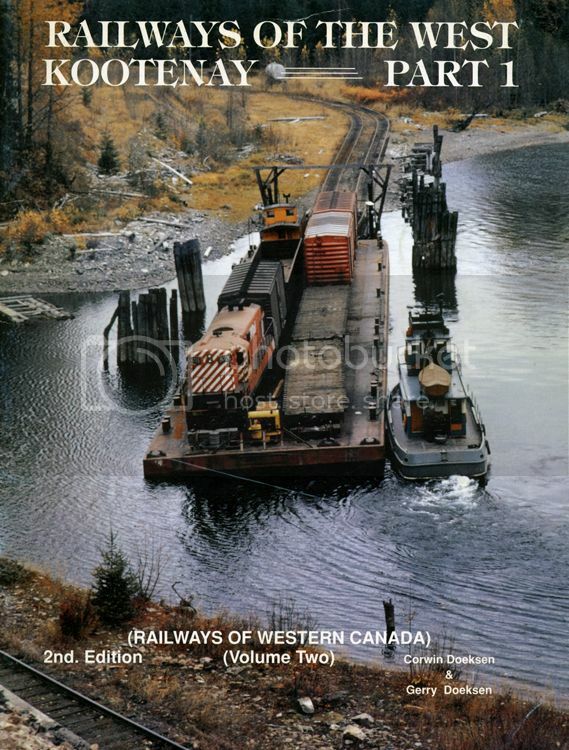 If this all sounds familiar, it may be because modeller Mark Dance is building this line on line level of a large, complex multi-deck N scale layout called the Columbia and Western, which was featured in Model Railroad Planning 2012 (available from Kalmbach). A perusal through Mark’s online layout gallery will show that it’s an ambitious project. I admire anyone with the time, energy and resources to tackle such a layout because I know I don’t have it in me. But have a look at Level 4 of his layout plan. This segment could easily be unwound and run around the walls of a layout room (with the tail of the Rosebery wye jutting into the space on a short peninsula). I think it would fit in my space in HO, and a slightly larger space in S. But it would really shine as a layout project in Proto:48 (fine scale O), using an upgraded Red Caboose GP-9 in CP Rail Action Red as motive power. Just a thought prompted by a friend’s visit.